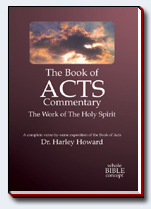 The Book of Acts Commentary by Dr. Harley Howard chronicles the movement of the Holy Spirit within the early church. He was active and visible in directing all of the activities of the church. Consider Christ. Reflect upon and understand Him. Fix your mind and focus on Him. Perceive Him with both your mind and your heart. 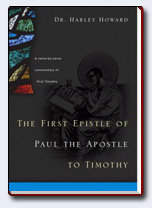 The First Epistle of Paul the Apostle to Timothy issues an urgent wake-up call to pastors and churches everywhere in this age where false doctrine, religious traditions, hucksterism, gimmickry, and biblical illiteracy are pandemic among the professed people of God. Ownership, control, and spiritual empowerment of the church belong to God, not us! These CD's and Tapes are of the highest quality. Just click the name of the book of the Bible and you will see a list of all available mesages. Unless otherwise noted, these are complete, verse by verse studies of the entire book or epistle! Project CD1 is our first FOTBC CD Collection. 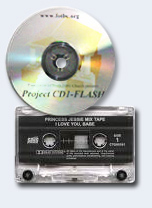 Project CD HTML and Project CD1 Flash both share the same contents. As you can see, we started our collection off with an explosion of diverse and beneficial arrangement of Bible Study materials. We packed as much into our First CD as possible as the list of contents below will show you! Project CD2 is our collection of over 90 Real Audio messages and two Complete New Testament Commentaries! To enjoy our Project CD2 Multimedia ROM, all you need to do is insert it into the CD Drive of your home computer. No installation is necessary! Project CD1 and CD2 Bundle Pack! Both Project CD1 & CD2 in a deluxe jewel case. Save $10 when you order the Bundle Pack! This Bundle Pack contains all of the contents of both of our CD Projects! The Price for Project CD Bundle Pack is $50.00. There are no shipping and handling charges! 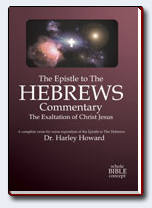 Each CD also contains the commentary in the HTML formats as well as in the Rich Text format. They also contain the entire text of the KJV of the Bible as well as the audio version for the particular book on the CD! This is truly a treasure for the hungry student of the word of God! There are currently four Mini-Disk that are available. Three of the disk are from the verse-by-verse teaching ministry of Pastor Howard.